Chanda Kochhar, one of the world's most powerful women in business, has resigned as chief of ICICI Bank following months of controversy and investigation. 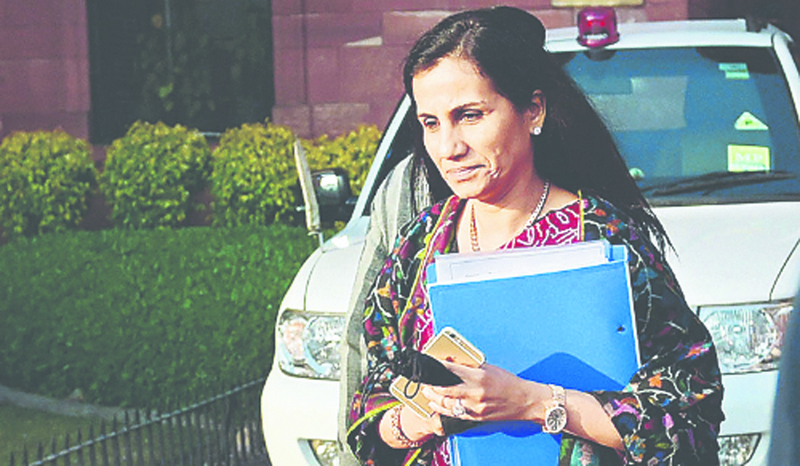 Kochhar who headed India's largest private sector bank as CEO and MD since 2009, was dogged by allegations of quid pro quo deals with borrowers and was on forced leave since June this year, pending the conclusion of an inquiry by former Supreme Court judge BN Srikrishna. Board of the ICICI Bank decided to accept Kochhar's resignation with “immediate effect,” bringing an end to her 34 year association with the bank, and appointed chief operating officer Sandeep Bakhshi as CEO for five years. While the board has accepted her resignation, it is yet to clear her of impropriety. The bank said, “The inquiry instituted by the board will remain unaffected by this and certain benefits will be subject to the outcome of the inquiry.” Kochhar's husband Deepak and his brother Rajiv are in the centre of the storm, following their financial dealings with a number of business groups that received loans from ICICI. Also, the CBI, Enforcement Directorate, and Sebi have also been looking into allegations of misconduct and corruption. Kochhar's exit immediately sent the bank's stock up by 4 per cent amid an otherwise plummeting market. Ever since she was forced to step aside, there’d been widespread speculation as to whether she would wait for the investigation to end and attempt a comeback even if for just a few months.